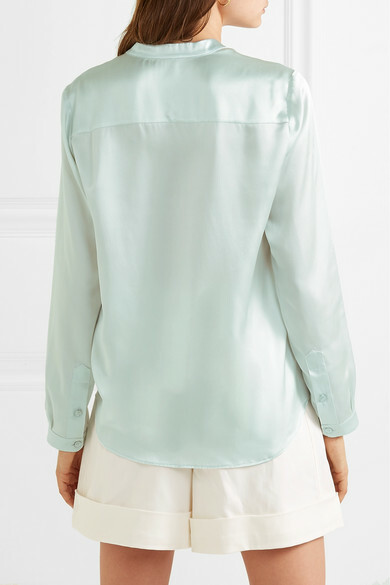 Stella McCartney's blouse is cut from lightweight silk-satin in a minty green hue that'll go beautifully with a neutral blazer. 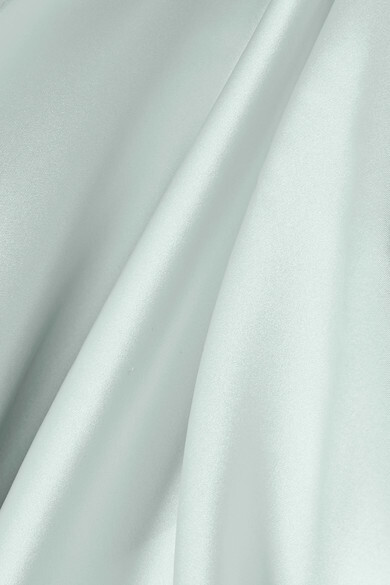 It has a loose fit with a Mandarin collar and a row of pearly buttons. Wear yours with tailored shorts. 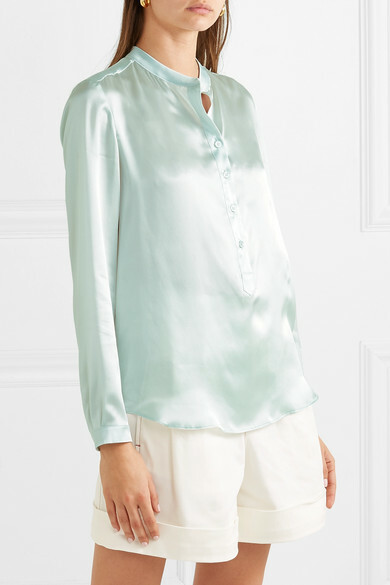 Shown here with: Sophie Buhai Earrings, Chloé Shorts, Stella McCartney Point-toe flats.